[Abbotsford BC] – Ozobots have arrived in the Fraser Valley, and you can find them at your local library! This month Fraser Valley Regional Library (FVRL) will launch Tech-Up with Ozobots at seven library locations throughout the Fraser Valley and Lower Mainland. Aimed at children in Grades 4 to 6, this program offers a fun introduction to coding and digital exploration. Participants will use logic and creativity to program the Ozobot Bit, a pocket-size robot that can move, change its speed and direction, and display coloured LED lights. Children can control the Bit’s movements by drawing coloured lines on paper using markers. Once they learn the basics, they can use tablets and drag-and-drop coding to program the robots through a series of challenges. FVRL’s Ozobots program grew out of a partnership with Science World British Columbia. The regional library system received a donation of 18 Ozobot Bits as a result of Science World’s Tech-Up program. This initiative promotes coding and computation thinking instruction in schools and libraries throughout British Columbia. FVRL supplemented the donation by purchasing 10 more Ozobots, along with tablets and learning resources. 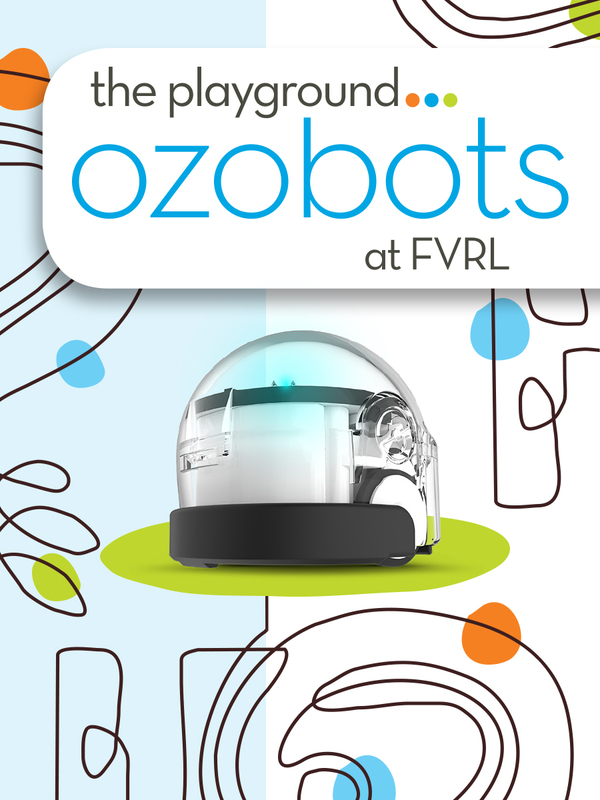 Ozobots are a welcome addition to The Playground at FVRL, which supports STEAM learning (science, technology, engineering, arts and math) in FVRL libraries. Heather Scoular, FVRL’s Director of Customer Experience explains, “FVRL has a strong partnership with Science World British Columbia. We’ve worked together on many library programs over the years, and we’re always looking for new opportunities to bring Science World to the Valley.” In addition to the donation of Ozobots, Science World has provided expertise and training to library staff. Ozobots are just the latest addition to the FVRL Playground, a collection of non-tradition library offerings that foster STEAM learning. The Playground began in 2016 when FVRL receive a donation of ukuleles from a local arts group. Since then, the Playground has grown to include programmable robots, telescopes, green screens, circuit boards and virtual reality experiences. To register for Tech-Up with Ozobots, please contact one of FVRL’s participating libraries.